A professional graphics package to meet every challenge! 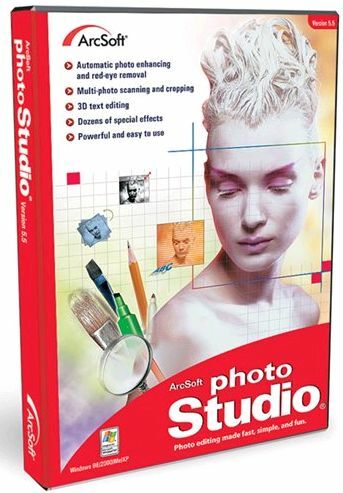 The state of the art professional photo & graphics editing package. A professional Macintosh based graphics package to meet every challenge! A professional Windows based graphics package to meet every challenge! Put your face on the cover of Glamour magazine! 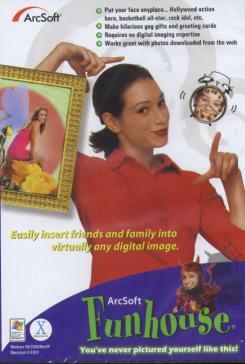 Add a friends face to the body of their boyfriend...create wierd and wonderful images with this crazy software! You've seen it before on movie posters and calendars--larger photos that are actually made up of hundreds or thousands of smaller "micro-images." That's the concept here, except now you can extract individual frames from your videos and use them to create your final montage! 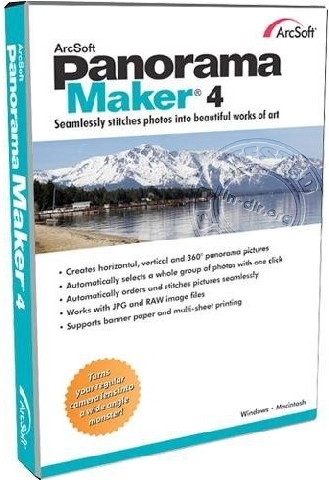 This photographic stitching software seamlessly combines horizontal, vertical, or tiled sets of images to create gorgeous panoramic photos. The program automatically processes your images, requiring little or no post-process modification. You can even create 360° panoramas. In addition to helping you categorize and backup all your files, this simple-to-use program includes tools for previewing all of your media files, editing and printing your photos, and creating great looking slideshow presentations. 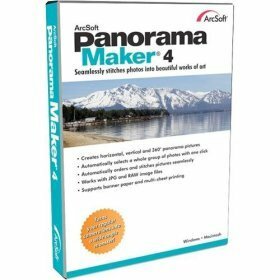 Perfect imaging software for novice and skilled users alike. This latest upgrade to this comprehensive photo editor is packed with new and improved tools for enhancing, printing and getting creative with your favourite digital snapshots. Print multiple photos on a single page and multiple pages at one time. Edit and enhance your photos, too. Awesome photo editing for the home or office. Scan & crop several photos in seconds. Work with layers and enhance your photos in a number of ways. The new TotalMedia software offers a full range of video, photo, music, and TV viewing/recording functionalities. Best of all, anyone can use it. While packing a punch feature-wise, it's designed for fast and simple use, either with your keyboard/mouse, or remote control. Sit back, relax, do it all with TotalMedia! The ultimate collection to create quality cards. 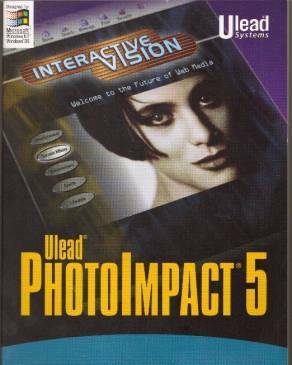 Over 88,000 Sensational Graphics. Over 22,000 Cards & Projects. Save as PDF. Make your own eye-catching 4 x 8 photo cards so that you can send personalised photo greetings to family and friends! 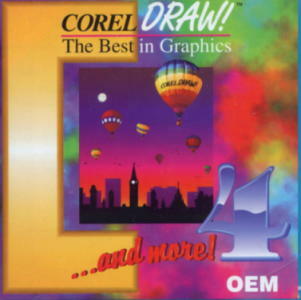 XP compatible Corel Draw. Create logo's, vector based graphics, and presentations, manage files, attach notes to drawings etc. Fully boxed with manuals. 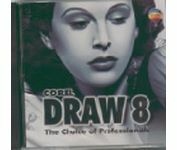 XP and last MAC compatible Corel Draw (Apple MAC version extremely rare). Create logo's, vector based graphics, and presentations, manage files, attach notes to drawings etc. Fully boxed with manuals. Upgrades available. 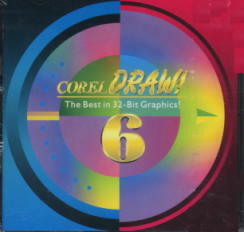 XP compatible Corel Draw. Create logo's, vector based graphics, and presentations, manage files, attach notes to drawings etc. Upgrades available. 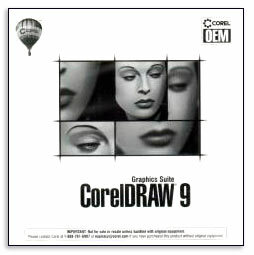 Microsoft Windows XP and Vista compatible Corel Draw. Create logo's, vector based graphics, and presentations, manage files, attach notes to drawings etc. Upgrades available. 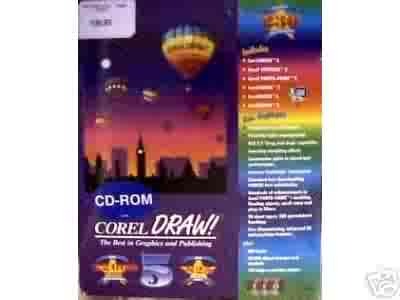 Microsoft Windows XP and Vista compatible Corel Draw. 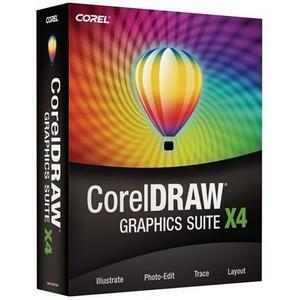 CorelDRAW Graphics Suite X4 lets you tackle creative graphics and design projects with confidence. Precision tools, market-leading file compatibility and high-quality content help you turn your creative ideas into professional results: from distinctive logos and signs, to striking marketing materials and eye-catching web graphics. Upgrades and Student/Teacher versions available. 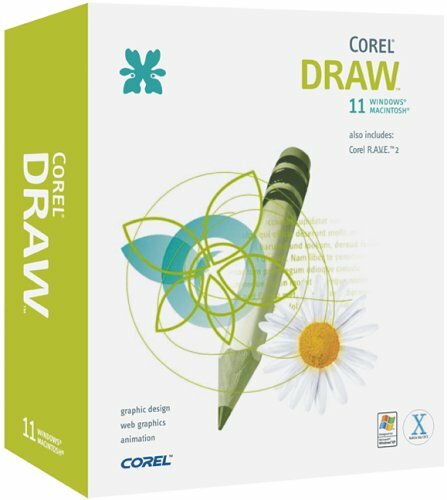 Microsoft Windows Vista and Windows 7, 64bit compatible Corel Draw. 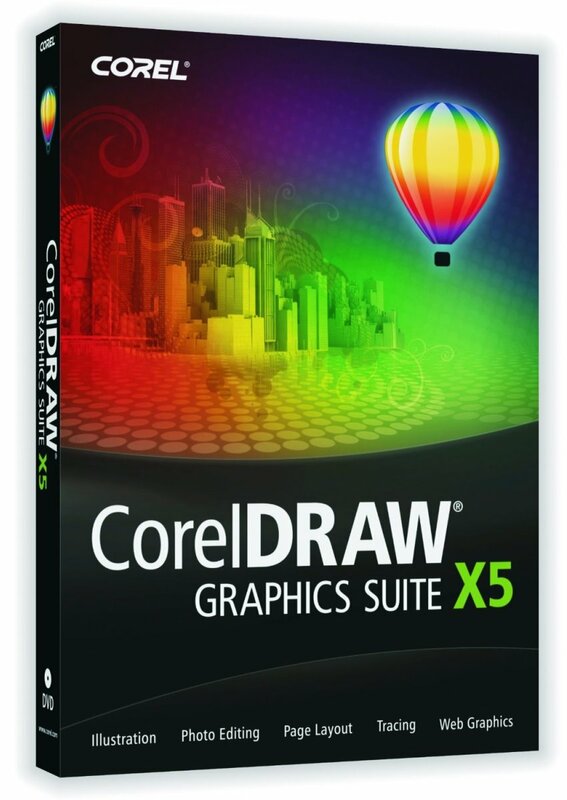 CorelDRAW Graphics Suite X5 now has a built-in content organiser, enhanced drawing tools, improved eyedropper, better colour consistency across all media, more fonts, photos, clipart, and enhanced compatibility with other file formats. Increased speed and new web capabilities. 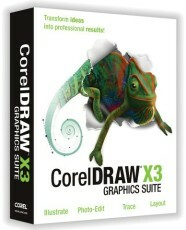 Includes CorelDRAW X5 Photo-Paint X5, PowerTRACE X5, Corel CAPTURE X5, Corel CONNECT, SWISH miniMax 2, PhotoZoom Pro 2. Upgrades, Small Business Edition (3 licenses) and Home & Student (3 licenses) versions available. 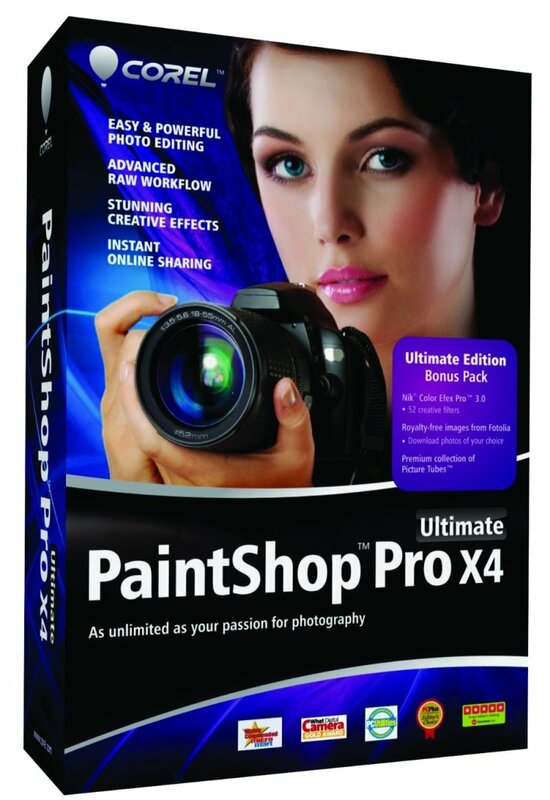 Corel Paint Shop Pro Ultimate X4 offers the ideal combination of automatic photo fixes and precision manual controls ideal for beginning photo editors and professionals alike. A complete photo tool - automatic photo fixes, precision editing controls and hundreds of unique special effects filters. Compatible with Windows XP, Vista and Microsoft Windows 7. "As unlimited as your passion for photography". 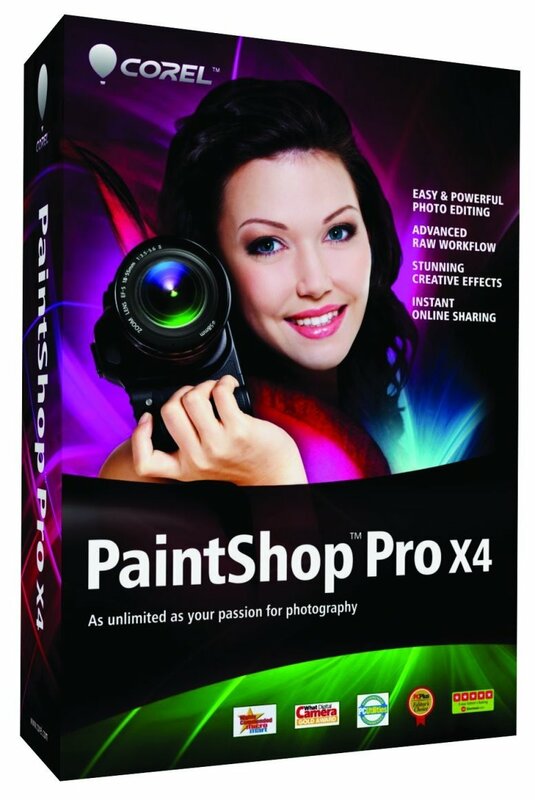 Corel Paint Shop Pro X4 offers the ideal combination of automatic photo fixes and precision manual controls ideal for beginning photo editors and professionals alike. A complete photo tool - automatic photo fixes, precision editing controls and hundreds of unique special effects filters. Compatible with Windows XP, Vista and Microsoft Windows 7. 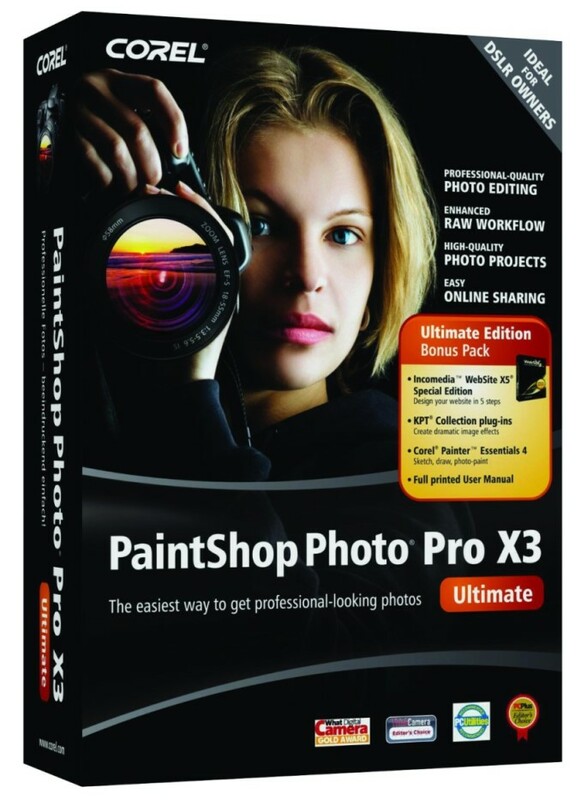 Corel Paint Shop ro Ultimate Photo X3 offers the ideal combination of automatic photo fixes and precision manual controls ideal for beginning photo editors and professionals alike. A complete photo tool - automatic photo fixes, precision editing controls and hundreds of unique special effects filters. Compatible with Windows XP, Vista and Microsoft Windows 7. Corel Paint Shop Pro X3 offers the ideal combination of automatic photo fixes and precision manual controls ideal for beginning photo editors and professionals alike. A complete photo tool - automatic photo fixes, precision editing controls and hundreds of unique special effects filters. Compatible with Windows XP, Vista and Microsoft Windows 7. 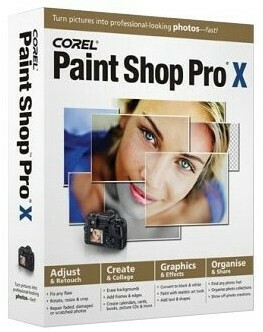 Corel Paint Shop Pro X2 offers the ideal combination of automatic photo fixes and precision manual controls ideal for beginning photo editors and professionals alike. Runs under Windows XP and Microsoft Windows Vista. 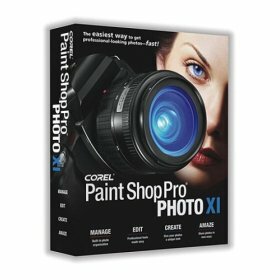 Corel Paint Shop Pro XI offers the ideal combination of automatic photo fixes and precision manual controls ideal for beginning photo editors and professionals alike. A complete photo tool - automatic photo fixes, precision editing controls and hundreds of unique special effects filters. Corel Paint Shop Pro X offers the ideal combination of automatic photo fixes and precision manual controls ideal for beginning photo editors and professionals alike. 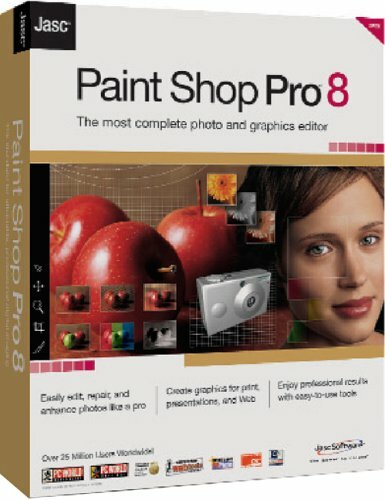 Paint Shop Pro is the cost-effective graphics editing alternative that is both powerful and easy to use and offers far more flexibility than template-based applications. Easy-to-learn, Corel Painter Essentials 3 offers the new Photo Painting Palettes that make transforming photos into paintings as simple as 1-2-3, and art tools that faithfully replicate ‘real world' paints, brushes, and papers. 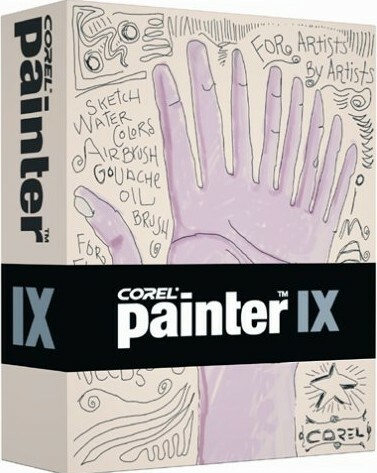 Corel Painter IX? 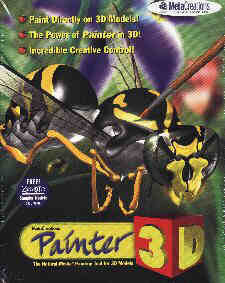 The world's most powerful Natural-Media painting and illustration software? features unique digital brushes, art materials and textures that mirror the look and feel of their traditional counterparts. 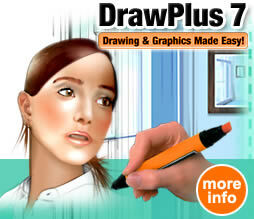 Award winning vector drawing software for all levels of ability. Drawing has never been this enjoyable for everyone! Create images, logos, clipart, free hand drawing etc. for documents, web sites or brochures. 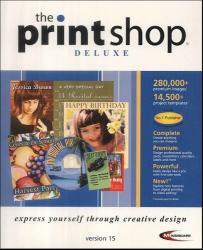 Listed as editor's choice in PC Magazine July 2002, this is an affordable, easy to use DTP package. Serif 3DPlus 2 - create 3D text, objects and scenes with loads of textures, materials, lighting and other design features. Serif 3DPlus 3 - create 3D text, objects and scenes with loads of textures, materials, lighting and other design features. 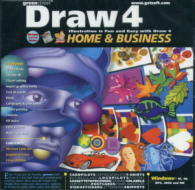 Serif DrawPlus 4 is a great vector editing design program for home & business use. Serif DrawPlus 5 is a great vector editing design program for home & business use. Serif DrawPlus 6 combines the power and flexibility of vector graphics with realistic photo quality, making it the one-stop solution for every design task. Fantastic features, total ease of use, professional results! Serif DrawPlus 7 combines the power and flexibility of vector graphics with realistic photo quality, making it the one-stop solution for every design task. Fantastic features, total ease of use, professional results! 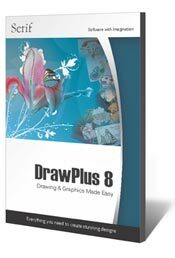 Serif DrawPlus 8 combines the power and flexibility of vector graphics with realistic photo quality, making it the one-stop solution for every design task. Everything you need to create stunning designs. Includes both the Program and Resource CDs. 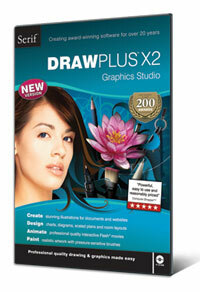 Serif DrawPlus X2 combines the power and flexibility of vector graphics with realistic photo quality, making it the one-stop solution for every design task. Everything you need to create stunning designs. Now Microsoft Windows Vista compatible. Serif DrawPlus X3 combines the power and flexibility of vector graphics with realistic photo quality, making it the one-stop solution for every design task. Everything you need to create stunning designs. Now Microsoft Windows Vista & 7 compatible. 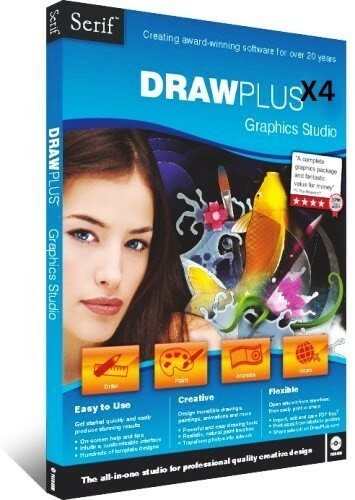 Serif DrawPlus X4 combines the power and flexibility of vector graphics with realistic photo quality, making it the one-stop solution for every design task. Everything you need to create stunning designs. Now Microsoft Windows 7 & 8 compatible. 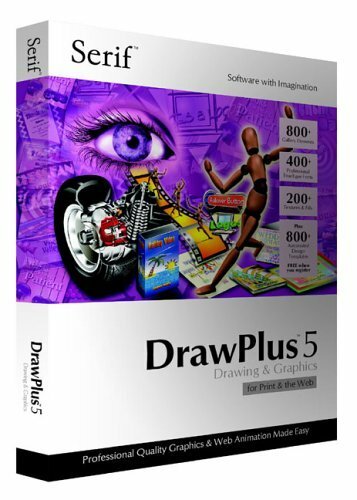 Serif DrawPlus X5 combines the power and flexibility of vector graphics with realistic photo quality, making it the one-stop solution for every design task. Everything you need to create stunning designs. Now Microsoft Windows Vista & 7 & 8 compatible. 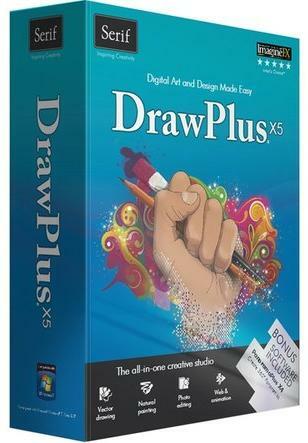 Serif DrawPlus X6 combines the power and flexibility of vector graphics with realistic photo quality, making it the one-stop solution for every design task. Everything you need to create stunning designs. Now Microsoft Windows 7 & 8 compatible. Serif Graphic Design Suite with PhotoPlus 6, DrawPlus 5, 3DPlus 2. Everything you need to create professional looking graphics, designs and effects for documents, presentations and Web pages. Organise and effectively manage all your media clips, sounds, videos, images, etc...make it easy on yourself! Warp, deform, manipulate and redesign! This powerful program is all about control! 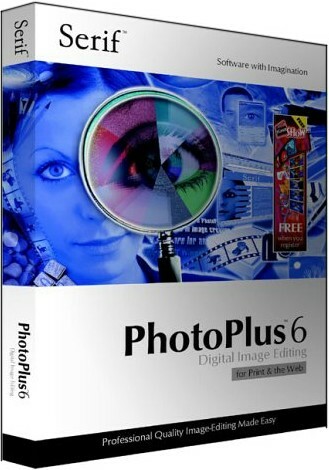 PhotoPlus 9 is more powerful, creative and easier to use than ever before. Incredible new effects to spice up your photos and creations include automatic dust and scratch removal, stained glass, half tone, glowing edges and new lighting effects. The fantastic PhotoPlus 10 Studio Pack really does take your photo editing and management capabilities to a whole new level. It's never been easier or more satisfying to arrange your photos electronically, or, indeed improve, enhance and touch-up your favourite snaps. 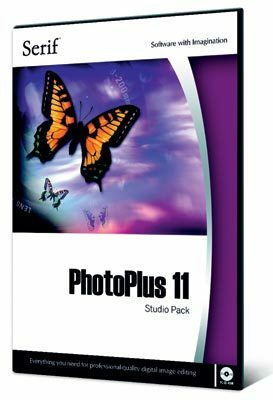 The fantastic PhotoPlus 11 Studio Pack really does take your photo editing and management capabilities to a whole new level. It's never been easier or more satisfying to arrange your photos electronically, or, indeed improve, enhance and touch-up your favourite snaps. 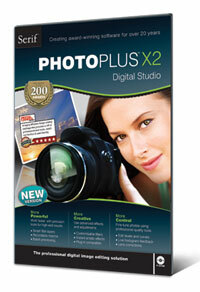 The Vista and Windows 7 compatible PhotoPlus X2 Studio Pack really does take your photo editing and management capabilities to a whole new level. It's never been easier or more satisfying to arrange your photos electronically, or, indeed improve, enhance and touch-up your favourite snaps. 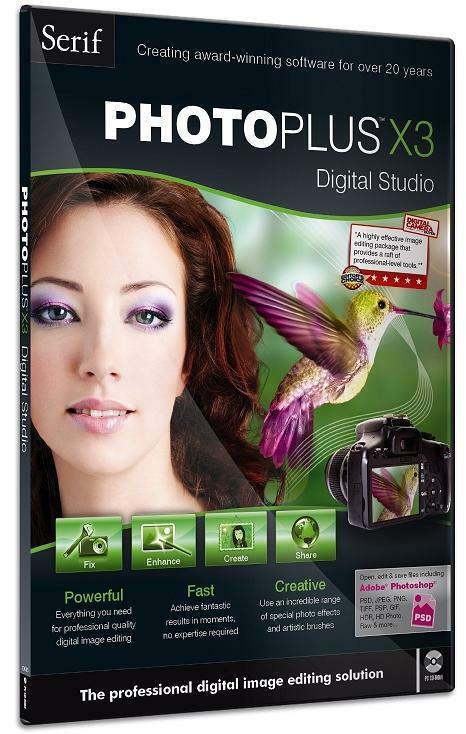 The fantastic Vista and Windows 7 compatible PhotoPlus X3 Studio Pack really does take your photo editing and management capabilities to a whole new level. It's never been easier or more satisfying to arrange your photos electronically, or, indeed improve, enhance and touch-up your favourite snaps. 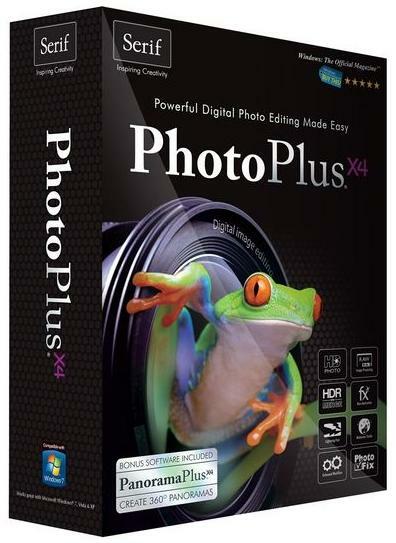 The fantastic new Vista and Windows 7 compatible PhotoPlus X4 Studio Pack really does take your photo editing and management capabilities to a whole new level. It's never been easier or more satisfying to arrange your photos electronically, or, indeed improve, enhance and touch-up your favourite snaps. WebPlus is a WYSIWYG home-page creator. Use this software to create simple but effective pages created with the minimum of fuss. From slick, stylish sites with modern effects to simple and fun homepages combining straightforward text and graphics, and everything in between including multimedia rich Web sites, Serif Web Page Maker with WebPlus 7 can handle it all. Windows XP and Microsoft Windows Vista compatible WebPlus 9 breaks down the technical barriers, enabling anyone to create their own professional looking site. HTML Import for Existing Web Pages. Create interactive websites (including ecommerce) with confidence with this simple to use Vista compatible software. Add dynamic features such as blogs, polls and photo galleries, or create shopping baskets to take orders. With its instant Templates, step-by-step Tutorials and one-click Gallery Objects, WebPlus 10 is ideal for first-time web designers. Vista and Windows 7 compatible WebPlus X2 offers interactive forums and blogs, polished animated photo galleries, podcasts and cool YouTube videos, Flash animations, secure password-protected pages, easy e-commerce sites with partners including PayPal, and much more. 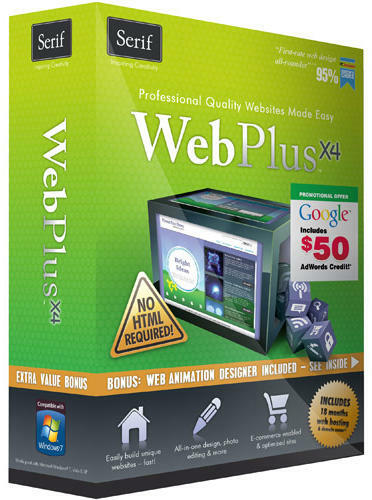 Vista and Windows 7 compatible WebPlus X4 offers interactive forums and blogs, polished animated photo galleries, podcasts and cool YouTube videos, Flash animations, secure password-protected pages, easy e-commerce sites with partners including PayPal, and much more. 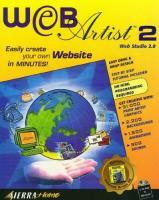 Serif Internet Design Suite with WebPlus 8, PhotoPlus 7, 3DPlus 3. Everything you need for professional looking Web pages, with digital image editing and 3D graphics. Fully categorized Web site Wizards guide you through designing and publishing your Web pages. 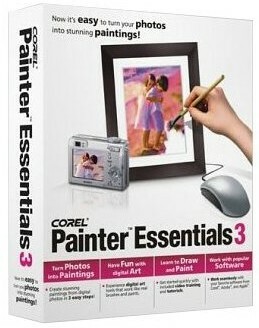 This product is discontinued consider the alternative products such as Serif WebPlus and Internet Design Suite above. Create web pages easily, using the drag and drop feature - then employ the wizard to upload to the web, it doesn't get any more simple! 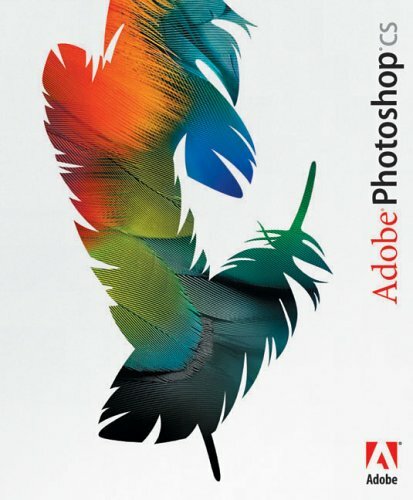 Everything you need for digital photo editing, creative design, and Web graphics. No other image editor delivers professional results so easily and affordably. Typical reviews award 5/6 for features and 6/6 for value. 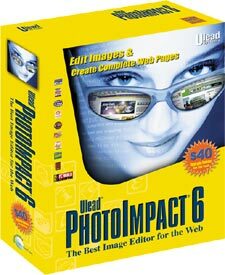 Now owned and improved by Corel since 2006/7, PhotoImpact still delivers everything you need for digital photo editing, creative design, and Web graphics. No other image editor delivers professional results so easily and affordably. Typical reviews award 5/6 for features and 6/6 for value. Windows 2000, XP, Vista. Owned by Corel since 2006/7, this Nova Development licensed PhotoImpact Pro delivers everything you need for digital image and photo editing, creative design, cut outs, and web graphics. 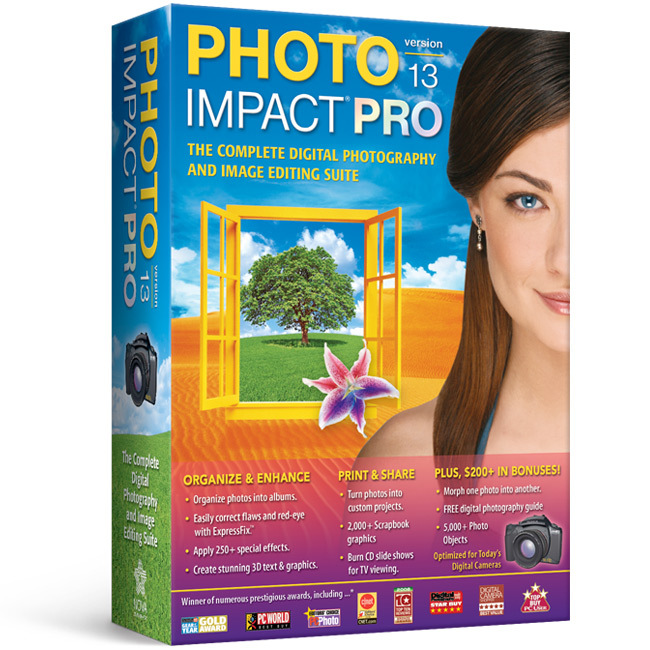 No other image editor delivers professional results so easily and affordably. Typical reviews award 8/10-9.5/10 with Bronze Awards and Editor's Choice awards. Windows 2000, XP, Vista, 7, 8. 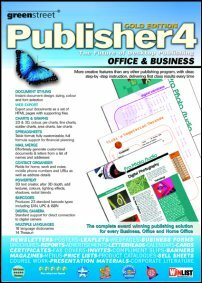 Other creative software can be found on the Crafts, Desk Top Publishing and ClipArt pages.